Now a Reliable & Creative Way to Play this Gambit !! 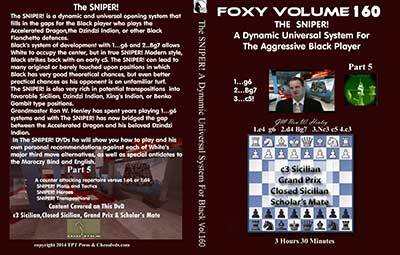 On this dvd IM Andrew Martin brings you a solid little known way to play this deadly Gambit without losing all the hidden traps and quick crushing wins this opening is notoriously famous for!! It is rare indeed in 2014 that we find an almost unknown opening variation, yet such is the case with 1 d4 d5 2 e4!? dxe4 3 Nc3 Nf6 4 Bg5!? 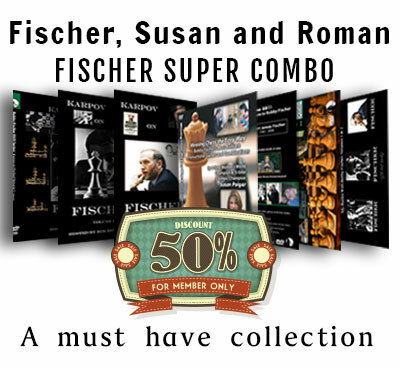 This sharp line borrows ideas from many different openings, including the BDG, the Veresov and even the Albin-Counter Gambit and deserves Black's close respect. 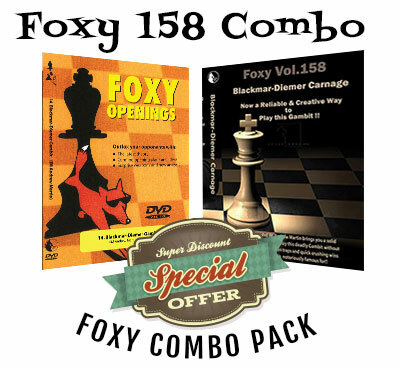 On this all new Foxy Openings DVD FIDE Senior Trainer Andrew Martin shows the state of play in this line as it currently stands and reaches the conclusion that the White opening is both playable and very dangerous. If you are looking for a new surprise weapon and are willing to embrace a bit of risk, then this new gambit will certainly fit the bill. 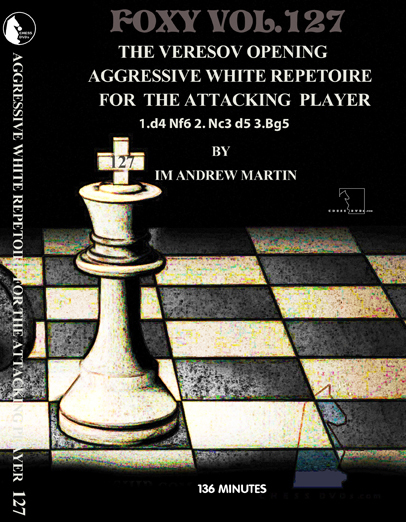 IM Andrew Martin sounds the charge.